With an ultraflexible redemption policy, the Bank of America Travel Rewards credit card is a great choice for travelers who like to hunt the web for the best deals – without sacrificing the ability to use rewards for the purchase. Plus, Bank of America checking account holders with a large balance can boost their rewards earning with the Preferred Rewards program. Though not the most valuable sign-up offer currently available, the Bank of America Travel Rewards card does include a decent bonus of 25,000 online points for users who spend $1,000 in the first 90 days. If you redeem these points for travel purchases, they are worth up to $250. The Bank of America Travel Rewards card comes with one flat earning rate on all purchases – making it easy to rack up points without keeping track of bonus categories. Cardholders bring in 1.5 points per dollar on every purchase. The one exception to this is purchases made in the Bank of America Travel Center, which earn an additional 1.5 points per dollar for a total 3 points per dollar. While this adds to the simplicity of use for the card, it does limit its potential. Cardholders won’t be able to weigh spending toward a particular category to maximize their points. Despite earning a few more points on travel booked through the Bank of America Travel Center, points you earn on the Bank of America Travel Rewards card are worth the same amount whether you book travel with the bank or another site – unlike other travel cards that offer a boost on certain purchases. Since the most value you can get out of a Bank of America Travel Rewards point is 1 cent per point, other travel cards can often outpace its value, whether or not their earning rates aren’t quite as high. Here is a quick look at some of our most popular travel cards and the rewards value you get out of each dollar you spend (factoring in average earning rate and point value). For the most part, the value of the points you earn on the Bank of America Travel Rewards card can’t catch up with other popular travel cards. However, Bank of America checking or savings account holders might be able to boost their value with the Preferred Rewards program. If you are already a Bank of America or Merrill Lynch checking or savings account holder, you might be able to boost your earning rate on the Bank of America Travel Rewards card. Every qualifying account holder receives 10 percent more points on every purchase, and account holders with a significant balance can qualify for even bigger boost by signing up for the Preferred Rewards program. Depending on the balance in your qualifying account, you can earn up to 75 percent more points on all your purchases. Even customers with a more moderate account balance can earn significantly more rewards on the Bank of America Travel Rewards card. Though you don’t get a points boost for redeeming travel through the Bank of America Travel center, redeeming Bank of America Travel Rewards points is very simple. To make it easier to use your rewards to book travel, you can redeem points for any travel purchase made on your card in the last 12 months. That means you can find a better deal on a third-party travel site and still use your rewards to cover the cost. In addition, you can use your points for a cash redemption or gift card, though the point value varies with these options. In addition to easy-to-earn rewards and flexible redemption, the Bank of America Travel Rewards card offers cardholders a 0 percent introductory APR for the first 12 billing cycles (17.24 to 25.24 percent variable thereafter). This can be a great perk for users who have a big purchase to make and want to pay it down over time without racking up interest. You’ll have a full year to make slow payments without having to worry about additional charges. Just be sure not to charge more than you can pay off in the introductory period, as the ongoing APR can be high. The Bank of America Travel Rewards card doesn’t come with extensive perks, but it does come with a few benefits that make it valuable for frequent travelers. No foreign transaction fee – When traveling abroad, you won’t pay any surcharge on foreign transactions. Car rental insurance – If your rental car is damaged or stolen, the Bank of America Travel Rewards card can reimburse you in excess of the company’s insurance policy. Add PIN for international travel – The Bank of America Travel Rewards card is an EMV chip card, and you can add a PIN for easy use when traveling overseas. While certainly not the most impressive travel perks available on a rewards card, all these benefits can save frequent travelers some money on their next trip. How does the Bank of America Travel Rewards card compare to other cards? A fan-favorite travel card, the Chase Sapphire Preferred offers a good rewards rate and one of the most valuable sign-up bonuses currently available. If you redeem all 60,000 points (after spending $4,000 in the first three months to earn the bonus) for travel in the Ultimate Rewards portal, they are worth up to $750. 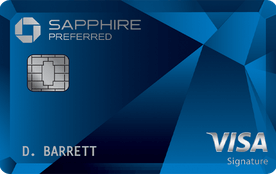 The biggest drawback to the Sapphire Preferred is its $95 annual fee, though heavy spenders can probably offset this cost with a great earning rate on travel and restaurant purchases. See Related: Bank of America Travel Rewards vs. Chase Sapphire Preferred: Which is best for you? Like the Bank of America Travel Rewards card, the Capital One VentureOne doesn’t charge an annual fee and offers a flat rate of miles on most purchases – 1.25 miles per dollar. This is a bit lower than the rate on the Bank of America card, but the VentureOne offsets this with a generous bonus on Hotels.com purchases. If you book and pay for your hotel through Hotels.com/venture, you’ll earn a generous 10 miles per dollar on those purchases. On longer, pricier stays, this can add up to significant rewards. The Wells Fargo Propel is another popular no-annual-fee travel card, thanks to its extensive list of categories that qualify for the 3 point-per-dollar rate. Cardholders can earn 3 points per dollar on dining, travel and transit, gas station purchases and select streaming services as well as 1 point per dollar on other purchases. This makes it easy to rack up plenty of points. Plus, cardholders who also have a Wells Fargo Visa Signature credit card can transfer all their points to the Visa Signature to enjoy a 50 percent higher point value for airfare redemptions. Why get the Bank of America Travel Rewards card? You are looking for a good sign-up bonus on a no-annual-fee travel card. You want to earn a flat rate of points on all your purchases rather than keep track of bonus categories. You are a Bank of America or Merrill Lynch account holder and can boost your rewards rate with Preferred Rewards. Put all your purchases on the card to take advantage of a generous flat rewards rate. Consider purchasing travel through the Bank of America Travel center to earn double points. If you are eligible, sign up for Preferred Rewards to boost your earning. Is the Bank of America Travel card worth it? If you are the type of cardholder who prefers to put all their purchases on one card and not worry about keeping track of bonus categories, the Bank of America Travel card offers a good rate of points for a card with no annual fee. Plus, Bank of America account holders with a significant balance can boost their rewards rate and fast-track their way to their next vacation.